Scott Wagner speaking to supporters. 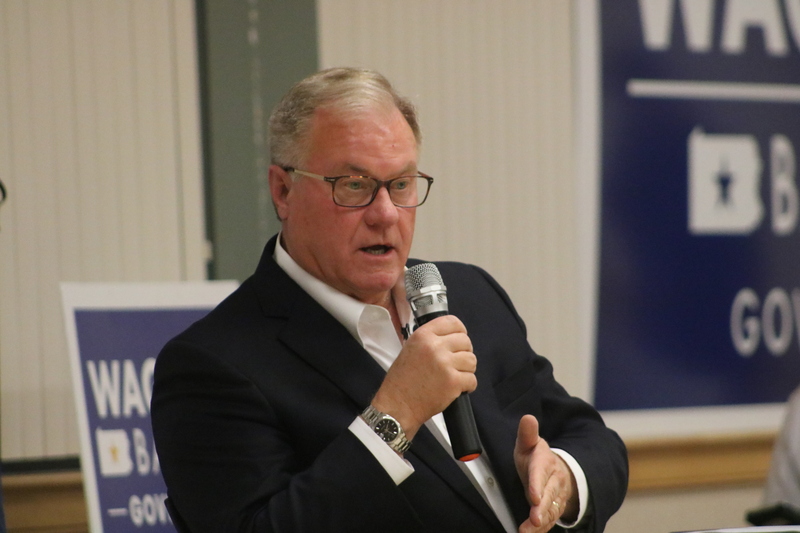 Republican candidate for governor Scott Wagner told a group of likely voters that he plans to tighten state spending if elected. Wagner spoke to supporters and also took questions during a town hall event he took part in with Pennsylvania Republican Party Chairman Val DiGiorgio. The event was held at the James E. Kinney Senior Center in Northampton and lasted a little more than an hour. Wagner’s Bucks County town hall came days after he gained attention for not releasing his tax returns and joking comments about Russia helping his campaign and hiring Paul Manafort if needed. Only hours before he spoke before the crowd of about 30 people, an NBC News-Marist Poll showed likely voters favoring incumbent Democratic Gov. Tom Wolf by 54 percent to Wagner’s 40 percent. 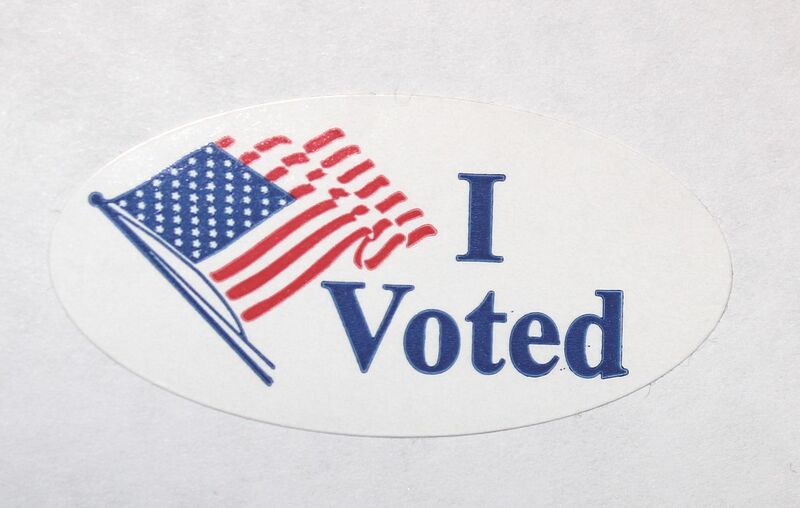 The poll found 6 percent of likely voters were undecided. 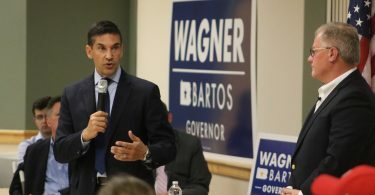 “If I become governor, I will eliminate the school taxes on your home,” Wagner promised the crowd. The former state senator and York County business owner said he supports a plan to eliminate property taxes, which can choke homeowners and those on fixed incomes. 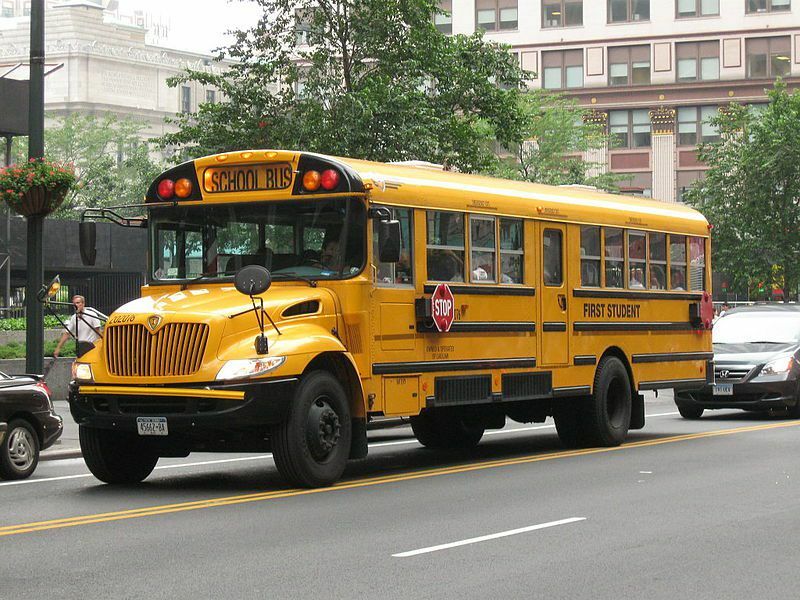 He added that the state could make up revenue by adding taxes certain items. If elected and Senate Bill 76 would be sent to the governor’s desk, it would be signed, Wagner said. Wagner answering a question as a cutout of himself sits in the back of the room. Straight-talking Wagner focused on financial matters and said he would work to increase efficiencies in Pennsylvania government and also would switch to a zero-based budgeting system. 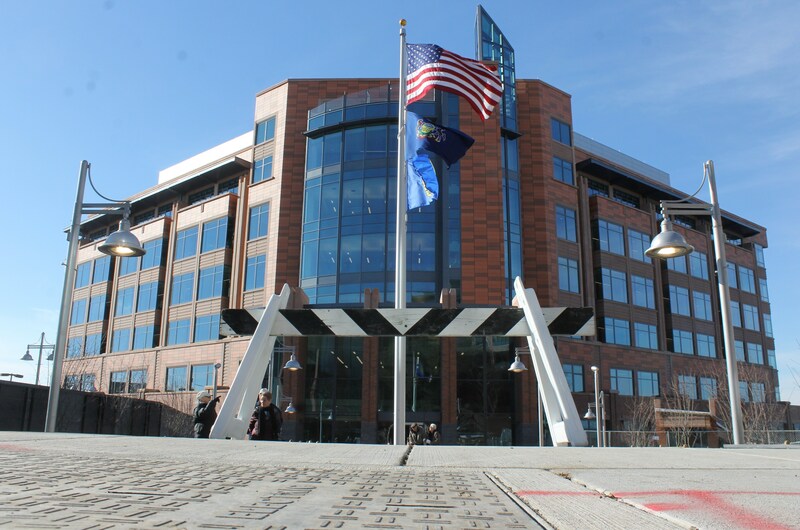 “The waste, fraud, and abuse and not balancing our checkbook is breathtaking,” he said. When asked, he said his potential administration would work to reduce pension liabilities for state government without removing benefits for those who have earned them. He also hit back at claims that he is anti-union by stating he “has a tremendous amount of respect for trade unions.” He added his problem is with the Pennsylvania State Education Association, the union that represents 187,000 school workers in the Keystone State. “Do the teachers think they work for the unions or the taxpayers and the students?” he questioned. Wagner also said teachers have told him there is too much standardized testing that hurts both students and teachers. 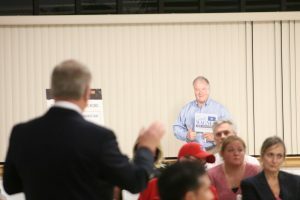 The candidate also stated he would increase funding for education in the state by $1 billion in subsidies and block grants. 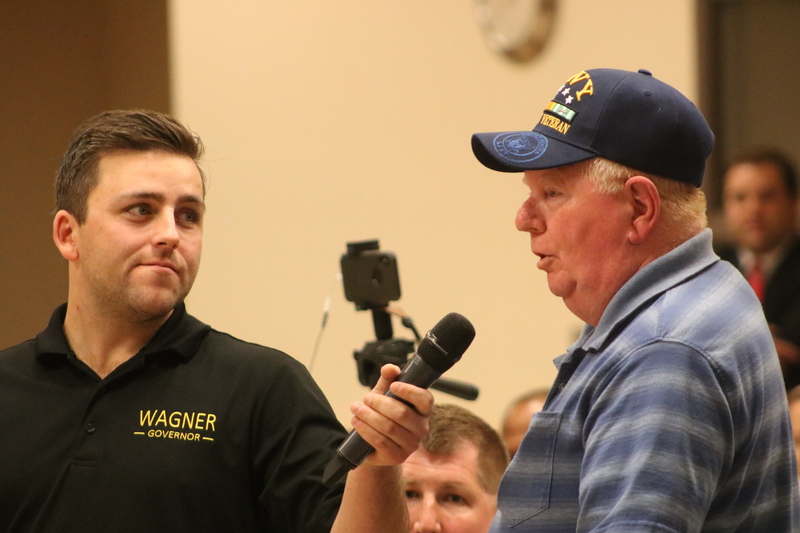 Wagner said he supports adding armed resource officers to schools, increasing screening, and making sure there are single points of entry into school buildings. 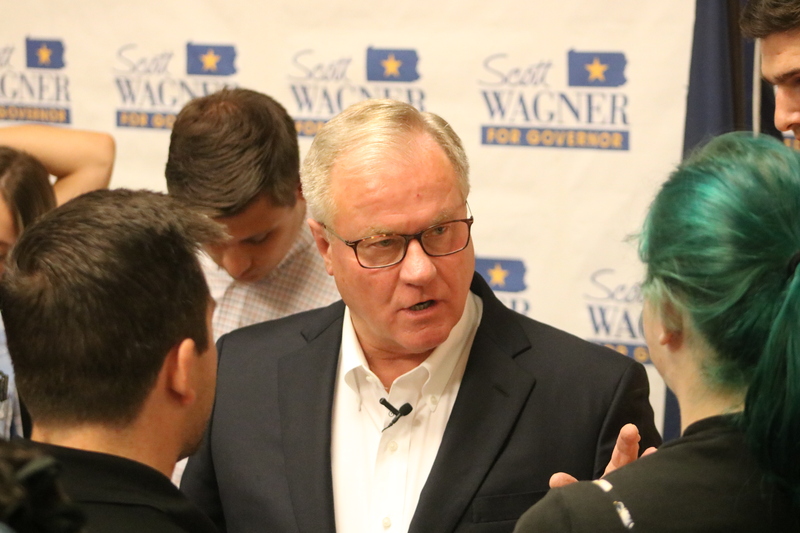 The gubernatorial candidate said he supports enforcing gun laws that are on the books and would lift Wolf’s moratorium on the death penalty. 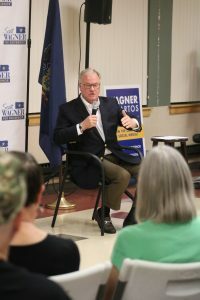 When answering a question from the audience, Wagner said he supports four-year terms for the Pennsylvania House of Representatives with a max of 12 years in office. He said the current cycle of running every two years does not serve constituents well. Wagner said he would bring everyone together to come up with solutions for the opioid crisis. 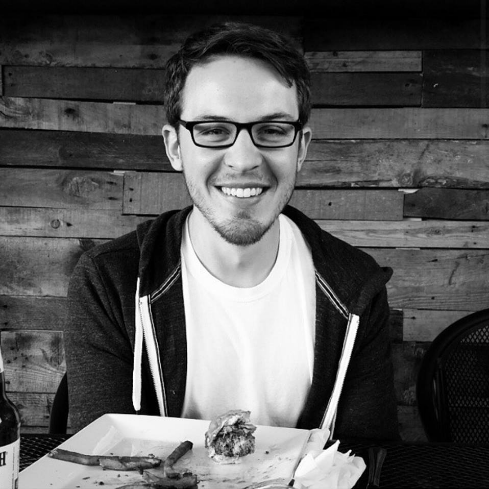 “We can do better,” Wagner told the town hall. The candidate did not take questions from the press after the town hall but did talk with a handful of attendees before he left.